Is your life full of too many things to do and remember? Tired of feeling scattered? Don’t know where to start? What is An Organized Life? 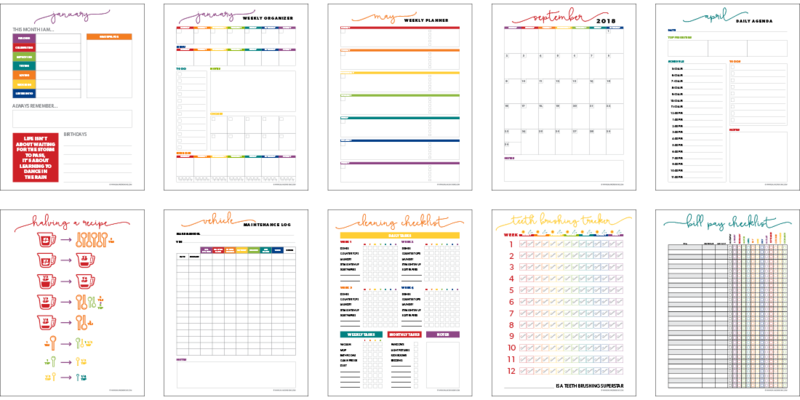 An Organized Life 2018 is a collection of printables what will give you the framework to create productive habits that will simplify your life. Have a clear head and a clear plan, so you can focus on what is most important and make the best use of your time and energy. 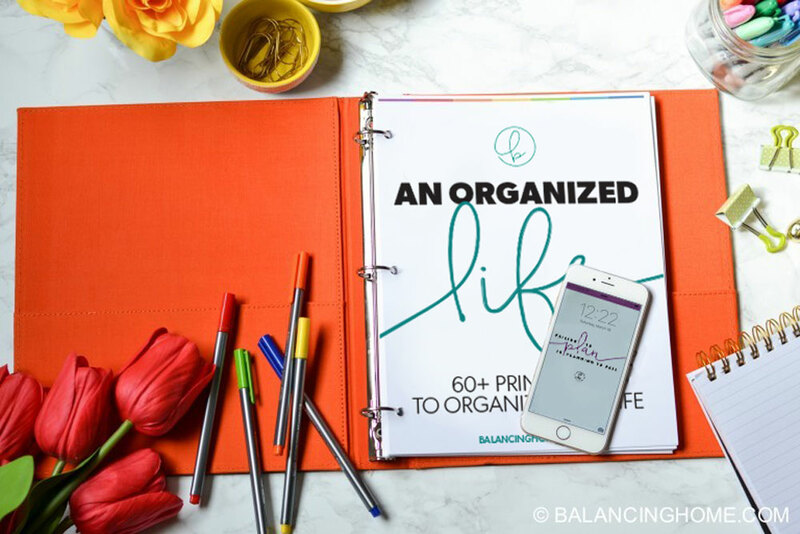 By having a quick reference to all aspects of your life through the 60+ printables An Organized Life puts at your fingertips, you can be sure you’re building the life you want. Having a plan and intention for your meals, money, goals and time will eliminate wasted time, money, energy and resources. Start living on purpose and quit reacting to your life. Just a few years ago I was drained, scattered, hitting the drive through daily and more or less in a constant state of reaction. Why? Because I had no plan. With four kids and a very busy life it was hard to shake this feeling. I was frustrated and stressed! One day I had enough of the million ideas running through my head, the constant feeling that the days were passing and I wasn’t even sure what I got out of them, the drive-thru and the nagging financial stress. I knew there was a better, less stressful way to live my life. I simplified my life by making a plan. Now I’m eating dinner around the table with my family, paying off debt, making progress on my goals and finally feeling a sense of calm and peace around my life. This system worked for me and I’m confident it will work for you too. I use to spend so much time reacting to my life, creating unneeded stress and wasting precious resources like time, energy and money. Now, I’m clear and intentional. Are you ready to have confidence, live with intention and have a plan at your fingertips AND save time, energy and money? What will you gain from An Organized Life? By having a clear plan and system in place, you will gain self-esteem by always feeling on track and purposeful in your life. When you have a plan and system that makes you feel good about where you are putting your time, energy and money, you have confidence to help you live on purpose. Having these 60+ printables will help you build the life, create the habits and hit the goals you’ve always wanted to creating a more effortless way to living. What is in the e-book?